Drs. 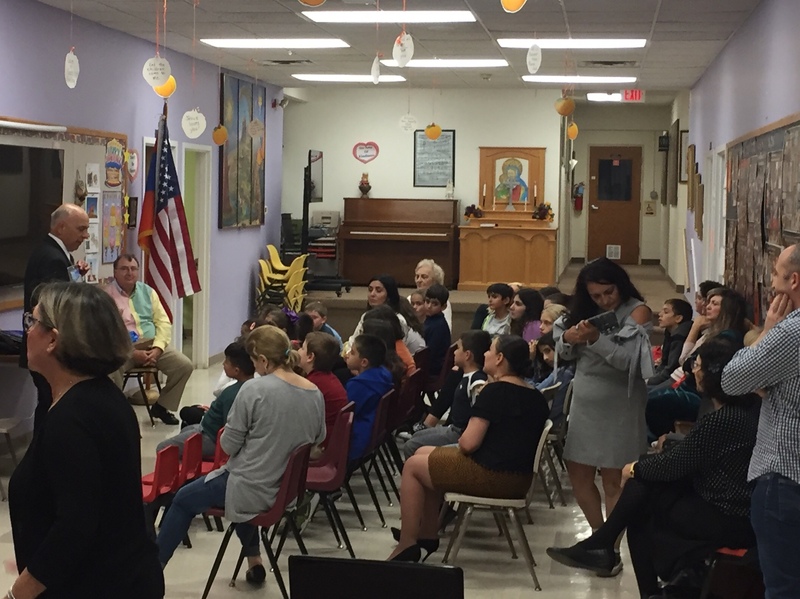 Levon Saryan and Chuck Hajinian spoke a special event during the fall festival for St Leon Armenian Church at the Charles & Grace Pinajian Youth Center. 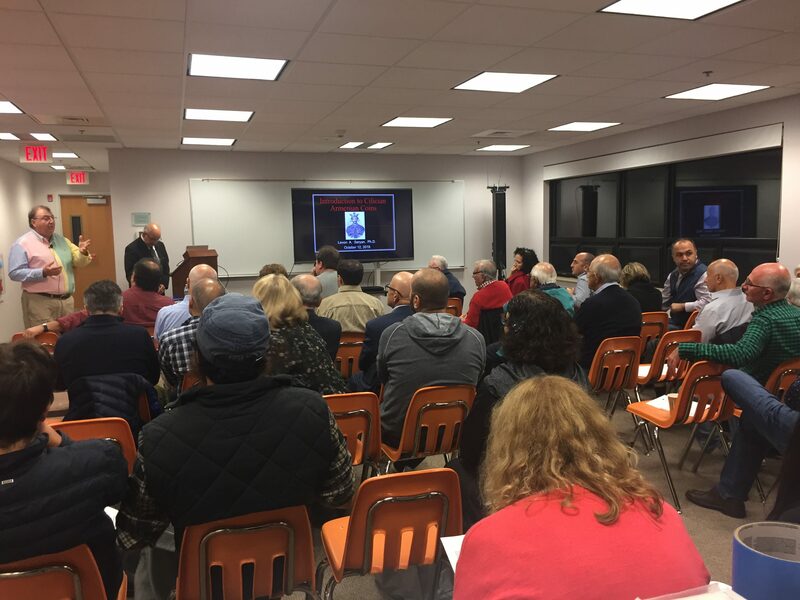 Dr. Hajinian opened the lecture by covering the ancient era of Armenian coins, including examples of Orontid, Artaxiad and Commagene coinage. Dr. Saryan’s portion of the lecture covered Cilician coins and fortifications, as well as technology used to strike both ancient and medieval coins and forgeries. After an hour and a half of lecture and discussion, the party moved downstairs to a wine and cheese reception, where people brought in coins and artifacts for discussion and authentication. Earlier that evening, Drs. 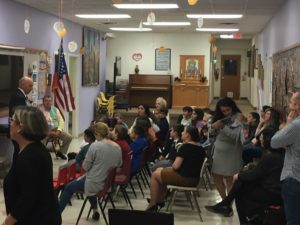 Saryan and Hajinian visited St. Leon’s Armenian School and spoke to the youth about Armenian kings, their coins, and the Armenian heritage that can be found in both. Saryan and Hajinian donated coins to the Armenian school. Hajinian and Saryan are available for presentations at your organization. Send inquiries to hajinian@yahoo.com.